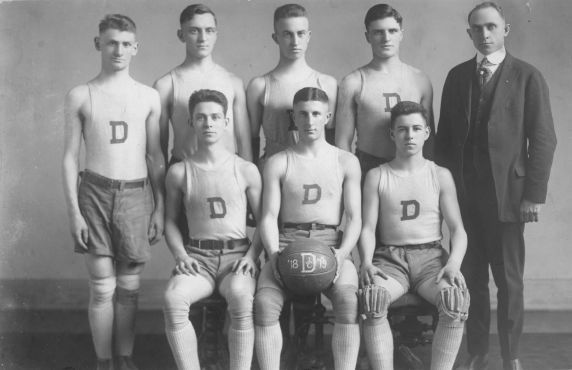 A portrait of the Detroit Junior College1918-19 basketball team. Back Row: Rosenzeig, Atliviack, Walmoth, Donnely, D.L. Holmes. Front: Davidow, Blatt (Captain), McMillan.